Drs. Morrow, Lai and Edwards want to know: is your child a mouth breather? At Morrow Lai and Edwards Pediatric Dentistry, we know breathing through the mouth instead of the nose spells trouble for kids. Now we have proof, thanks to a study published in the January/February 2010 issue of the journal General Dentistry. Children who typically breathe through their mouth – most often kids who suffer from allergies – experience problems getting enough oxygen into their blood, a condition that affects their weight, size and sleep, which often affects their performance in the classroom and life. Dr. Yosh Jefferson, who anchored the study, also notes that if left untreated, mouth breathing can cause dental and facial abnormalities. But there’s good news: mouth breathing is a treatable condition. Doing so, however, requires early diagnosis and treatment. Since Drs. Morrow Lai and Edwards see their patients often enough, they may be in a position to identify the symptoms of mouth breathing. 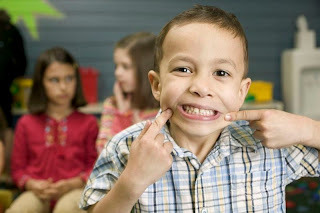 If you suspect your child is a chronic mouth breather, please give our team a call at (918) 742-9810. Happy Friday and have a great weekend.